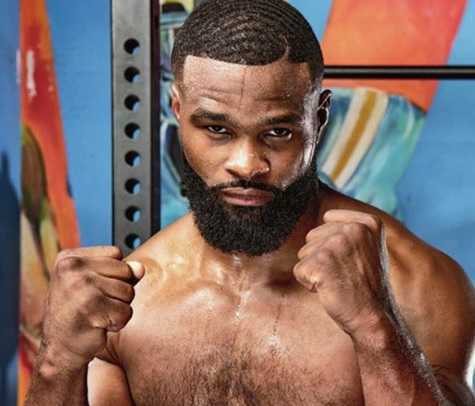 Tyron Lakent Woodley professionally known as Tyron Woodley is an American professional mixed martial artist and a broadcast analyst. At present, he is the reigning UFC Welterweight Champion. Woodley turned professional in 2009. Woodley is ranked No. 6 in official pound-for-pound rankings as of September 11, 2018. Previously, Woodley also fought in Strikeforce. Tyron Woodley has defended his UFC Welterweight Championship till the date since winning the title in July 2016. Tyron Woodley will be out of UFC fights for 8-12 weeks due to hand surgery. Woodley dislocated his thumb, tearing three ligaments during his successful attempt to defend his UFC Welterweight Championship against Darren Till at UFC 228 on September 8, 2018. Woodley will have to undergo surgery and will take 8-12 weeks to recover fully. MMA Fightings confirmed the news Friday. Following the surgery news, Tyron is likely to postpone the bout against the Colby Covington at UFC 230 scheduled six weeks away. Woodley was born to a father Sylvester Woodley and a mother Deborah Woodley on April 7, 1982, in Ferguson, Missouri, United States. Woodley had a big family. He has ten older and two younger brother and sisters. He is the eleventh children in his family. 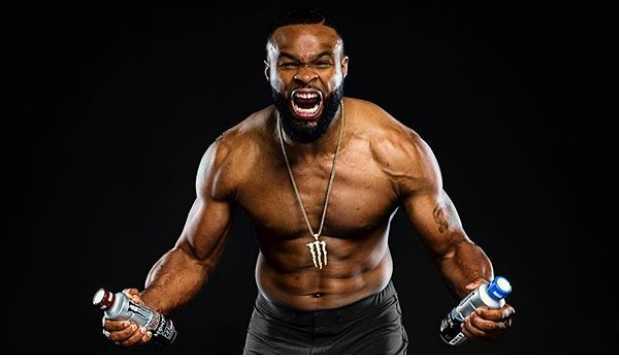 Woodley was mostly raised in Ferguson, Missouri by his mother Deborah after his father left the family in his early age. Woodley attended McCluer High School and graduated in 2000. He used to play American football and also a amateur wrestling during his high school time. Woodley attended the University of Missouri. He joined the wrestling program in the university. In 2003 and in 2005, Woodley became a two-time All-American. He graduated from the University of Missouri with a major in Agricultural Economics in 2005. On February 7, 2009, Tyron Woodley fought his first professional fight against Steve Schnider at the Holiday Inn Select Executive Center in Columbia, Missouri. Woodley defeated Steve via submission in the first round. Woodley fought his second professional fight on April 30, 2009, against Jeff Carstens. He defeated Jeff via submission in the first round. Tyron Woodley made his Strikeforce debut on June 6, 2009, at Strikeforce: Lawler vs. Shields against Sal Woods in his hometown of St. Louis, Missouri. Woodley won the fight via submission in the first round. Following the win, Woodley was signed by Strikeforce to a six-fight deal. woodley fought his second Strikeforce fight against Zach Light at Strikeforce Challengers: Kennedy vs. Cummings car. Woodley won via submission in the second round. Woodley further defeated Rudy Bears via arm-triangle submission at Strikeforce Challenger: Woodley vs. Bears card defeated Nathan Coy via split decision at Strikeforce Challengers: Lindland vs. Casey, defeated Andre Galvao via knockout midway at Strikeforce: San Jose and defeated Tarec Saffiedine via unanimous decision at Strikeforce Challengers: Woodley vs. Saffiedine. The Win over Saffiedine earned Woodley a contract extension with Strikeforce in early 2011. Woodley then defeated Paul Daley via unanimous decision and Jordan Mein via split decision. Woodley was scheduled to fight Nate Marquardt on July 4, 2012, at Strikeforce: Rockhold vs. Kennedy for the vacant Strikeforce Welterweight Championship. Woodley lost the Championship to Nate via KO in the fourth round. Tyron Woodley made his Ultimate Fighting Championship debut on February 2, 2013, at UFC 156 against Jay Hieron. He replaced injured Erick Silva to fight Jay. Woodley took only 36 seconds of the opening round to knock out Jay. He won the fight via KO in the first round. Woodley lost a UFC bout on June 15, 2013, at UFC 161 against Jake Shields via split decision. Woodley then defeated Josh Koscheck in November 2013 at UFC 167 via knockout in the first round, earning him his first Knockout of the Night bonus award. Woodley then defeated former Interim Welterweight Champion Carlos Condit at UFC 171 via TKO. Condit suffered a knee injury in the second round. Woodley signed a new eight-fight contract with UFC on April 8, 2014, alongside his bout against Rory MacDonald at UFC 174. He lost the fight to Rory via unanimous decision. Woodley earned his first Performance of the Night bonus award on August 23, 2014, defeating Dong Hyun Kim via TKO in the first round at UFC Fight Night 48. Woodley won the UFC Welterweight Championship on July 30, 2016, defeating Welterweight champion of that time, Robbie Lawler. In the main event at UFC 201, Woodley won the championship via knockout halfway through the first round. Woodley defended his Welterweight championship defeating Stephen Thompson twice at UFC 205 and at UFC 209. Woodley again succeeded in defending his welterweight championship against Demian Maia at UFC 214 in July 2017. Woodley received his Brazilian jiu-jitsu black belt in the cage from Din Thomas following his victory defending Welterweight championship against Darren Till on September 8, 2018, at UFC 228. woodley also earned Performance of the Night award. Woodley is married to Averi Woodley and has four children. They are Tyron Jr., Darron, Dylan, and Gabby. Woodley publicly condemned the violent protests and looting that took place during civil unrest happening in his hometown of Ferguson, Missouri. Missouri engaged in civil unrest following the shooting of Michael Brown in Missouri. Woodley has also pursued his acting career during his spare time besides fighting. He has played few roles in Straight Outta Compton and Kickboxer: Vengeance. Woodley has also appeared in Escape Plan 2: Hades in several fight scenes. Woodley hosts a podcast called "Morning Wood with Deez Nutz" as well as a weekly internet web show on TMZ called "The Hollywood Beatdown". At present, the net worth of former amateur wrestler and current mixed martial artist Tyron Woodley is estimated to be $4 million. He is also the defending UFC Welterweight Champion. He has earned millions through contracts, bonus awards, and sponsorships. Woodley also earns from his acting career. Woodley used to play American football and amateur wrestler during his high school career. Woodley took only 36 seconds to knock out Jay Hieron in his UFC debut. Woodley became UFC Welterweight champion in July 2016. Since then, has defended his UFC Welterweight Championship till the date.